Flowmaster has introduced a new American Thunder cat-back exhaust system, part #817553, designed specifically for the 2012-2013 Mustang Boss 302. The system is a full 3.0-inches throughout and features mandrel bent 409S stainless steel construction, Flowmaster’s patented Scavenger x-pipe and custom-engineered 60 Series Delta Flow mufflers for an aggressive sound. Finishing things off at the rear are a set of polished 4-inch diameter tips. The exhaust system comes with all necessary installation hardware including side-pipe spacer plates, can easily be installed at home and comes with Flowmaster’s Limited Lifetime Warranty. 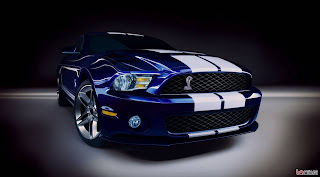 Want to hear what the Flowmaster American Thunder exhaust system sounds like on a 2012 Mustang Boss 302? Just check out the video below. 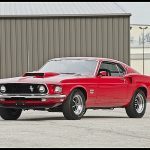 This entry was written by by MustangsDaily (Mustangs Daily) and posted here on Saturday, January 14th, 2012 at 4:32 pm and is filed under boss 302 exhaust, flowmaster, flowmaster boss 302 exhaust, flowmaster mustang boss 302 exhaust, mustang boss 302 exhaust, New Products, Videos. This article was not written by us, rather gathered using RSS feeds listed here. We take no credit for this article. You can leave a response, or trackback from your own site.